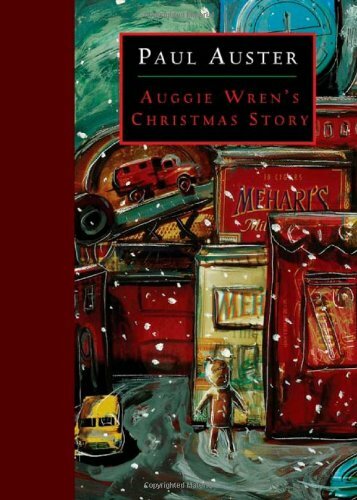 An illustrated edition of the New York Times op-ed story that inspired the film adaptation, Smoke, relates the unsentimental holiday tale of a colorful cigar shop owner whose life is altered by a lost wallet, a blind woman, and an unconventional Christmas dinner. 40,000 first printing. 9780805077230 | Henry Holt & Co, November 1, 2004, cover price $15.00 | About this edition: Relates the unsentimental holiday tale of a colorful cigar shop owner whose life is altered by a lost wallet, a blind woman, and an unconventional Christmas dinner. 9780754018940 | Large print edition (Chivers, June 1, 2003), cover price $29.95 | About this edition: Having lost his family in a plane crash, Vermont professor David Zimmer journeys around the world to research the life of a presumed-dead silent film actor, and he finds his life changed when his subsequent writings get unexpected attention. 9780786248681 | Large print edition (Thorndike Pr, January 1, 2003), cover price $29.95 | About this edition: Having lost his family in a plane crash, Vermont professor David Zimmer journeys around the world to research the life of a presumed-dead silent film actor, and he finds his life changed when his subsequent writings get unexpected attention. 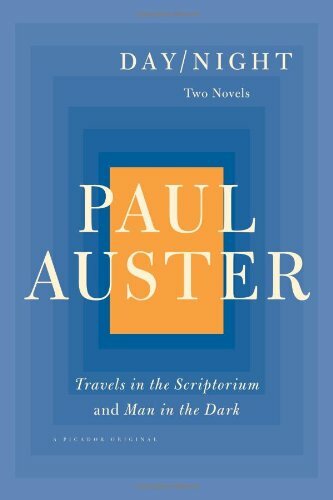 9780312429010 | Reprint edition (Picador USA, October 27, 2009), cover price $18.00 | About this edition: A NATIONAL BESTSELLERA NEW YORK TIMES BOOK REVIEW NOTABLE BOOKSix months after losing his wife and two young sons, Vermont Professor David Zimmer spends his waking hours mired in a blur of alcoholic grief and self-pity. 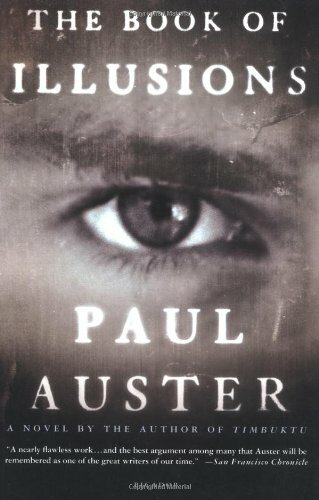 9780312990961 | St Martins Pr, July 1, 2003, cover price $7.99 | About this edition: A NATIONAL BESTSELLERA NEW YORK TIMES BOOK REVIEW NOTABLE BOOKSix months after losing his wife and two young sons, Vermont Professor David Zimmer spends his waking hours mired in a blur of alcoholic grief and self-pity. 9780060511890 | Unabridged edition (Harperaudio, September 1, 2002), cover price $39.95 | About this edition: Having lost his family in a devastating plane crash, Vermont professor David Zimmer journeys around the world to research the life of a presumed-dead silent film actor, and he finds his life changed when his subsequent writings get unexpected attention. Having lost his family in a devastating plane crash, Vermont professor David Zimmer journeys around the world to research the life of a presumed-dead silent film actor, and he finds his life changed forever when his subsequent writings get unexpected attention. Reprint. 75,000 first printing. 9780805054088 | 1 edition (Henry Holt & Co, September 1, 2002), cover price $24.00 | About this edition: Having lost his family in a devastating plane crash, Vermont professor David Zimmer journeys around the world to research the life of a presumed-dead silent film actor, and he finds his life changed when his subsequent writings get unexpected attention. 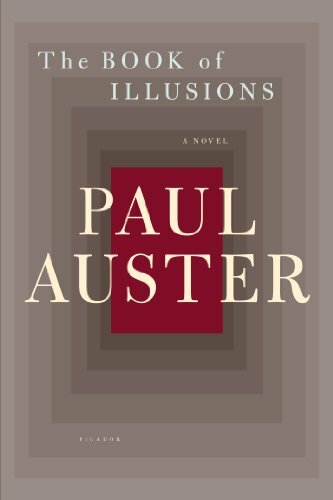 9780312421816 | Reprint edition (Picador USA, August 1, 2003), cover price $15.00 | About this edition: Having lost his family in a devastating plane crash, David Zimmer journeys around the world to research the life of a presumed-dead silent film actor, and he finds his life changed when his subsequent writings get unexpected attention. 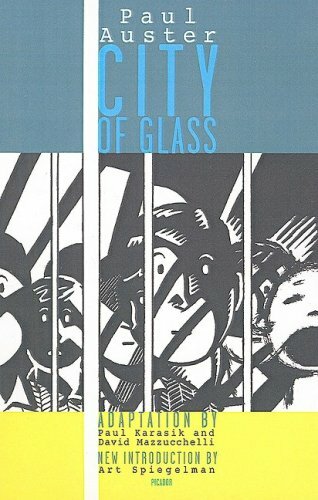 9780786285037 | Large print edition (Thorndike Pr, May 31, 2006), cover price $30.95 | About this edition: Â National BestsellerÂ A New York Times Book Review Editors' ChoiceÂ Nathan Glass has come to Brooklyn to die. 9780805077148 | Henry Holt & Co, December 27, 2005, cover price $24.00 | About this edition: Retired life insurance salesman Nathan Glass moves to Brooklyn to find anonymity and solitude through his declining years, but a chance meeting with Tom Wood, his long-lost nephew, forces him to come to terms with his past. 9788433970923, titled "The Brooklyn Follies: Null" | Italian edition edition (Editorial Anagrama, October 15, 2014), cover price $26.95 | About this edition: Nathan Glass ha sobrevivido a un cancer de pulmon y a un divorcio despues de 33 anos de matrimonio, y ha vuelto a Brooklyn, el lugar donde nacio y paso su infancia. 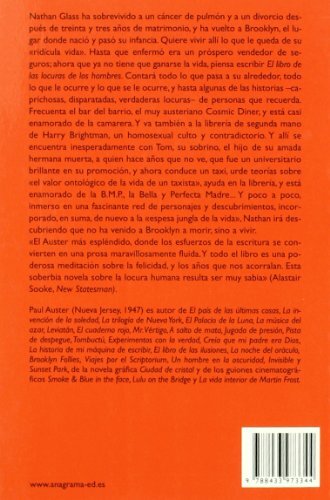 9780312429003 | 2 edition (Picador USA, October 27, 2009), cover price $16.00 | also contains The Brooklyn Follies | About this edition: Nathan Glass has come to Brooklyn to die. 9780312426231 | Reprint edition (Picador USA, October 17, 2006), cover price $14.00 | About this edition: Retired life insurance salesman Nathan Glass moves to Brooklyn to find anonymity and solitude through his declining years, but a chance meeting with Tom Wood, his long-lost nephew, forces him to come to terms with his past. 9780571224999 | Gardners Books, July 6, 2006, cover price $12.25 | also contains The Brooklyn Follies | About this edition: Nathan and Tom are an uncle and nephew double-act - one in remission from lung cancer, divorced, and estranged from his only daughter, the other hiding away from his once-promising academic career. 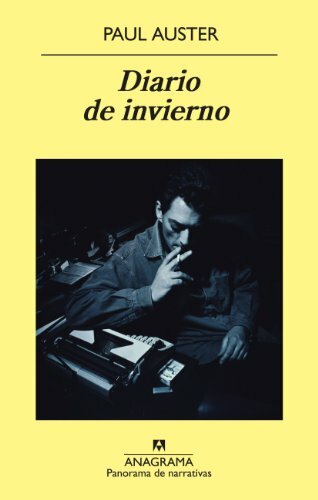 9788433973344 | Italian edition edition (Editorial Anagrama, October 14, 2008), cover price $15.95 | About this edition: Nathan Glass ha sobrevivido a un cancer de pulmon y a un divorcio despues de treinta y tres anos de matrimonio, y ha vuelto a Brooklyn, el lugar donde nacio y paso su infancia. A late-night phone call from a stranger involves Quinn, a mystery writer, in a baffling murder case stranger than his novels, in a new edition of the Edgar-nominated graphic novel. Reprint. 10,000 first printing. 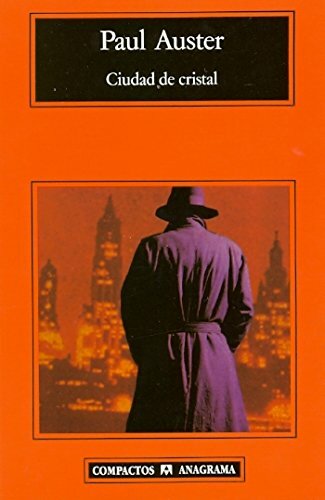 9780312423605 | Reprint edition (Picador USA, July 1, 2004), cover price $16.00 | About this edition: A late-night phone call from a stranger involves Quinn, a mystery writer, in a baffling murder case stranger than his novels, in a new edition of the Edgar-nominated graphic novel. 9781417707270 | Turtleback Books, August 1, 2004, cover price $25.80 | About this edition: A graphic novel classic with a new introduction by Art SpiegelmanQuinn writes mysteries. 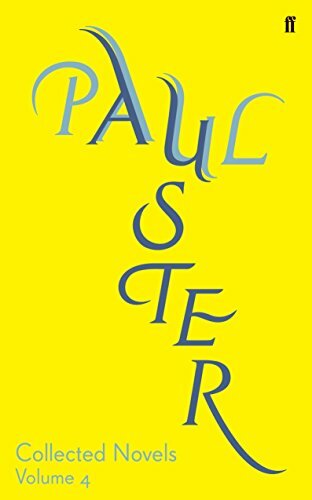 A late-night phone call from a stranger involves Quinn, a mystery writer, in a baffling murder case stranger than his novels. 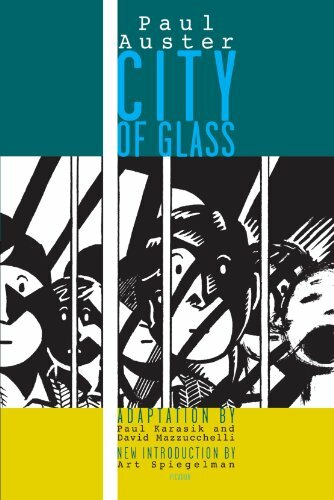 9788433914767, titled "Ciudad De Cristal / City of Glass: Null" | Editorial Anagrama, February 1, 2005, cover price $14.90 | About this edition: A late-night phone call from a stranger involves Quinn, a mystery writer, in a baffling murder case stranger than his novels. 9781585674046 | Overlook Pr, January 1, 2004, cover price $24.95 | About this edition: A compelling anthology of poetry, translations, and composition notes by the author of The Book of Illusions features selections from Spokes, Wall Writing, Disappearances, Effigies, White Spaces, and other works, along with biographical details and the author's own thoughts on his writing. 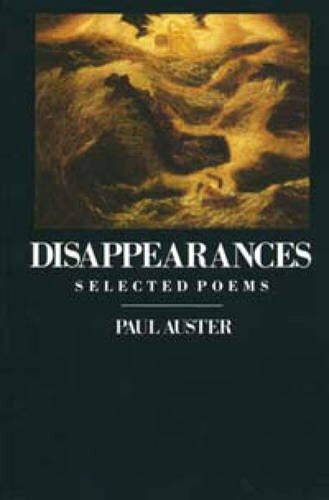 9781585679119 | Overlook Pr, June 26, 2007, cover price $16.95 | About this edition: Paul Auster's penetrating and charged verse resembles little else in recent American poetry. 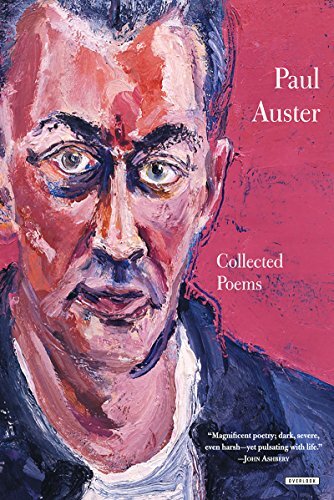 9780312429928, titled "Collected Prose: Autobiographical Writings, True Stories, Critical Essays, Prefaces, and Collaborations With Artists, and Interviews" | Expanded edition (Picador USA, June 22, 2010), cover price $22.00 | About this edition: An updated edition with six new essays, including "An Evening at Shea" and "Remembering Beckett," as well as two long interviews from "one of America's greats" (Time Out Chicago)The celebrated author of Invisible, The New York Trilogy, and The Book of Illusions presents a highly personal collection of essays, prefaces, true stories, autobiographical writings (including the seminal work The Invention of Solitude), and collaborations with artists, as well as occasional pieces written for magazines and newspapers. 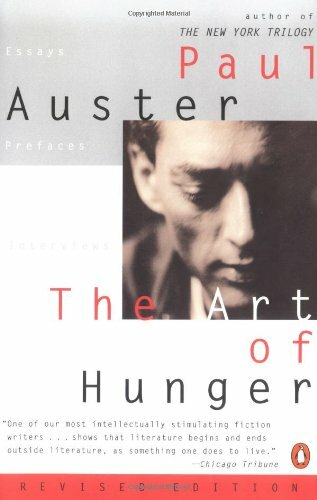 9780312424688 | Picador USA, January 30, 2005, cover price $18.00 | About this edition: Features the author's selection of essays, true stories, autobiographical writings, prefaces, collaborations with artists, and articles, covering topics ranging from New York City and Kafka to Sir Walter Raleigh and high-wire artist Philippe Petit. An artist associated with the New York School of poets, Joe Brainard (1942-1994) was a wonderful writer whose one-of-a-kind autobiographical work I Remember ("a completely original book" -Edmund White) has had a wide and growing influence. 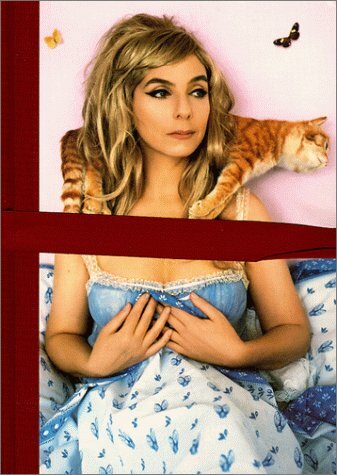 It is joined in this major new retrospective with many other pieces that for the first time present the full range of Brainard's writing in all its deadpan wit, madcap inventiveness, self-revealing frankness, and generosity of spirit. The Collected Writings of Joe Brainard gathers intimate journals, jottings, stories, one-liners, comic strips, mini-essays, and short plays, many of them available until now only as expensive rarities, if at all. 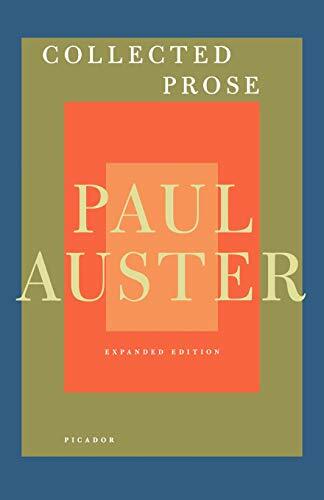 "Brainard disarms us with the seemingly tossed- off, spontaneous nature of his writing and his stubborn refusal to accede to the pieties of self-importance," writes Paul Auster in the introduction to this collection. "These little works . . . are not really about anything so much as what it means to be young, that hopeful, anarchic time when all horizons are open to us and the future appears to be without limits." Assembled by the author's longtime friend and biographer Ron Padgett and including fourteen previously unpublished works, here is a fresh and affordable way to rediscover a unique American artist. 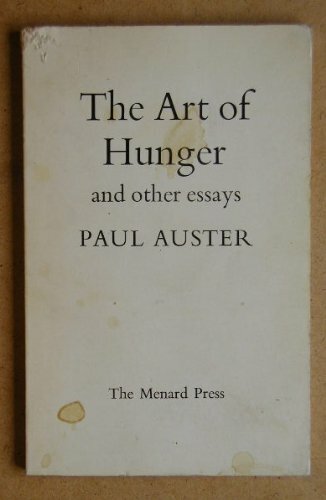 9781598531497 | Library of America, March 29, 2012, cover price $35.00 | About this edition: An artist associated with the New York School of poets, Joe Brainard (1942-1994) was a wonderful writer whose one-of-a-kind autobiographical work I Remember ("a completely original book" -Edmund White) has had a wide and growing influence. 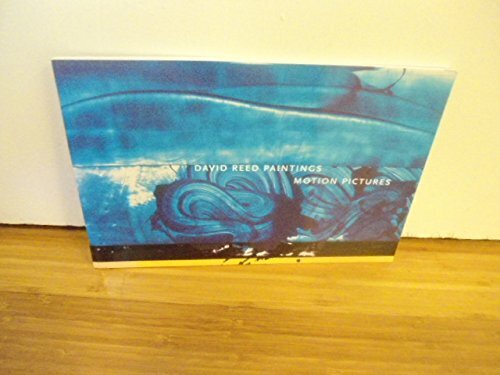 Product Description: Paintings by artist David Reed. Used in motion pictures. 9780934418539 | Museum of Contemporary Art San, September 1, 1998, cover price $25.00 | About this edition: Paintings by artist David Reed. 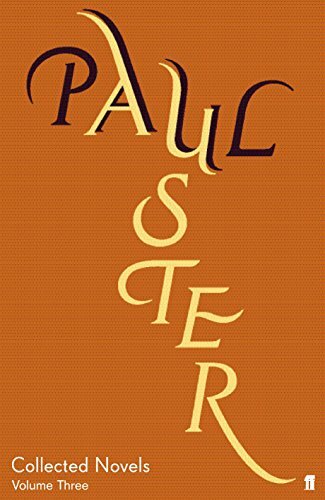 9781250037879 | Picador USA, November 5, 2013, cover price $16.00 | About this edition: FOR THE FIRST TIME IN ONE VOLUME, TWO EXISTENTIAL CLASSICS BY BESTSELLING NOVELIST PAUL AUSTERDay/Night brings together two metaphysical novels that mirror each other and are meant to be read in tandem: two men, each confined to a room, one suddenly alert to his existence, the other desperate to escape into sleep. 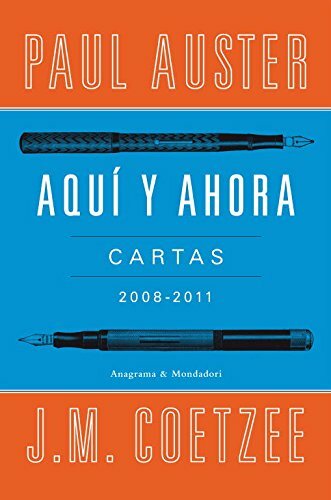 9788433978295 | Editorial Anagrama, December 20, 2011, cover price $29.95 | About this edition: Auster vuelve la mirada sobre si mismo y parte de la llegada de las primeras senales de la vejez para rememorar episodios de su vida.